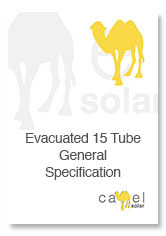 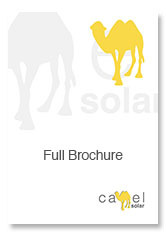 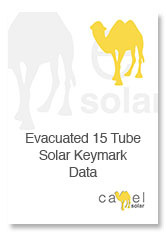 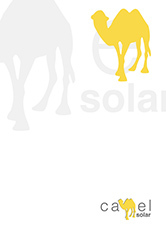 This is Camel Solar’s new Evacuated Tube Collector. 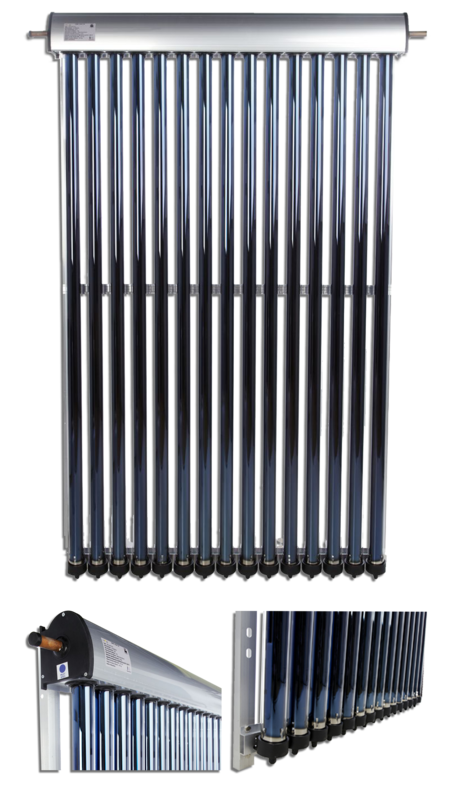 The collector is composed of 15 evacuated tubes with highly efficient selective coatings. 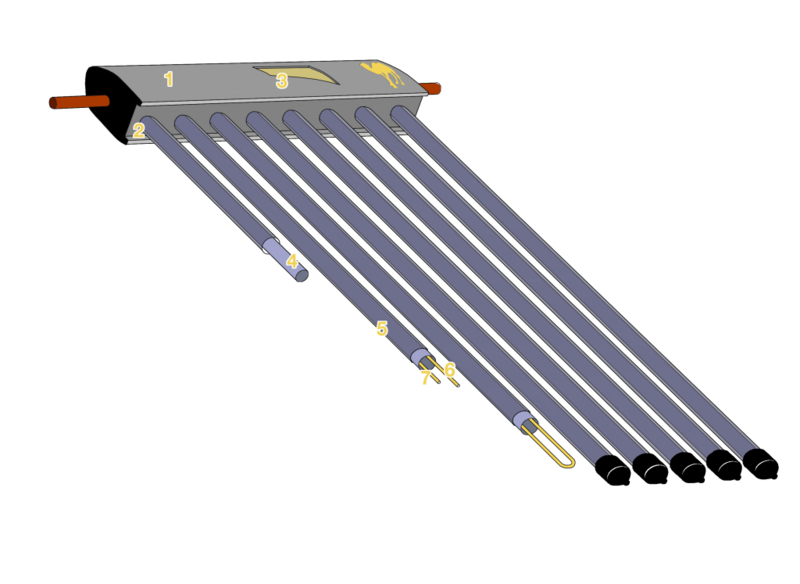 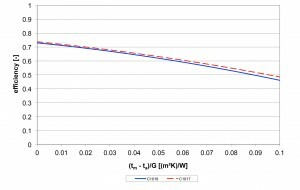 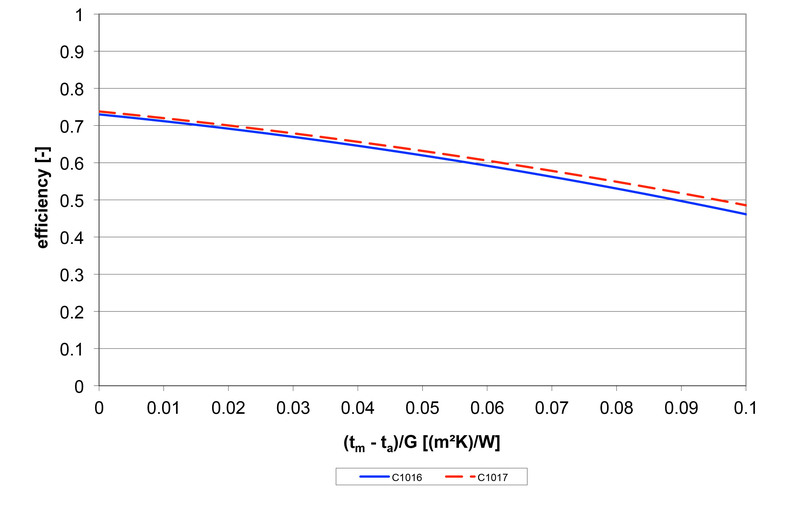 The Glass tube has a PVD (physical vapour deposition) selective coating inside enhancing the absorption of the tube.